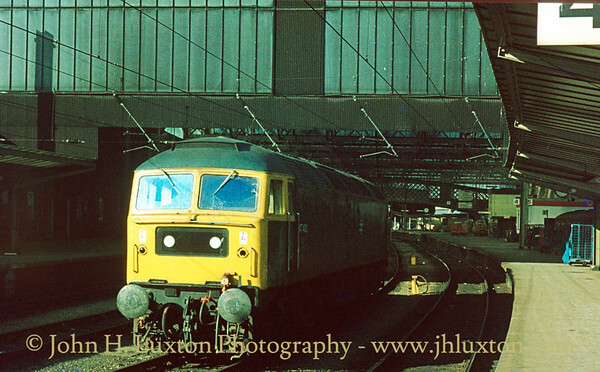 Wirral Railway Circle Liverpool Exchange Farewell Railtour at Manchester Victoria on April 09, 1977 headed by Class 25, 25066. 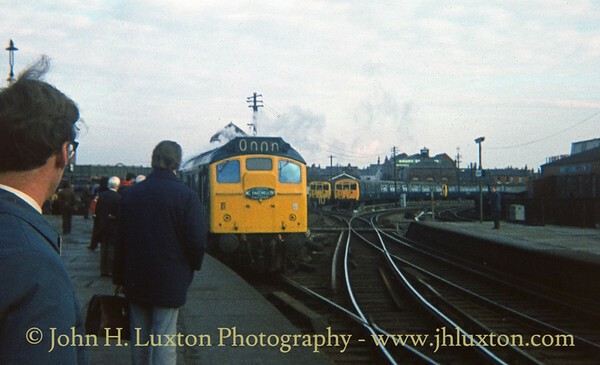 Wirral Railway Circle Liverpool Exchange Farewell Railtour at Bury on April 09, 1977 headed by Class 25, 25066. 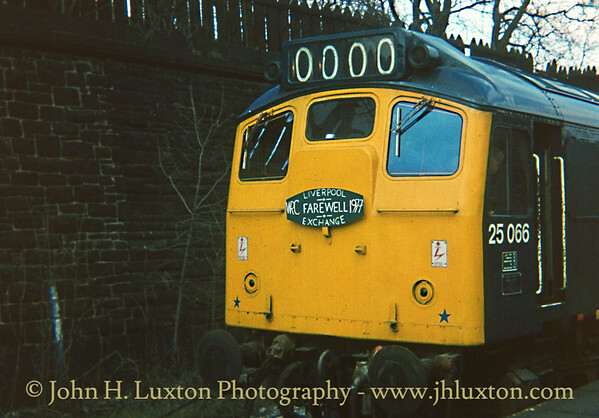 Wirral Railway Circle Liverpool Exchange Farewell Railtour at Blackburn on April 09, 1977 headed by Class 25, 25066. 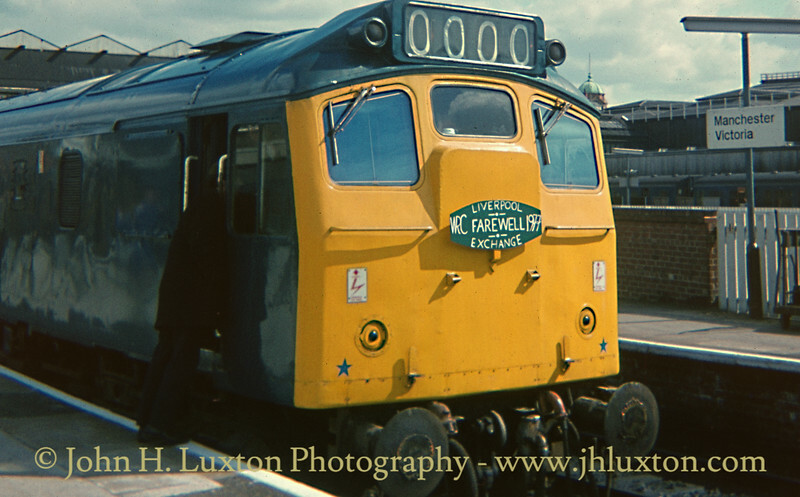 Wirral Railway Circle Liverpool Exchange Farewell Railtour at Bolton on April 09, 1977 headed by Class 25, 25066. 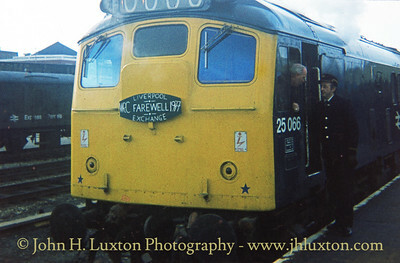 Wirral Railway Circle Liverpool Exchange Farewell Railtour at Southport Chapel Street on April 09, 1977 headed by Class 25, 25066. 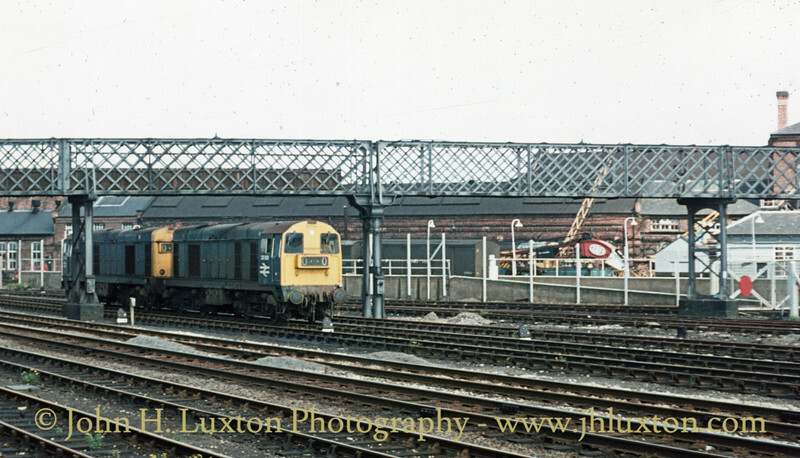 Class 119 Gloucester RC&W 'Cross-Country' DMU at Chester General on a Wolverhampton High Level via Wrexham working, summer 1977. 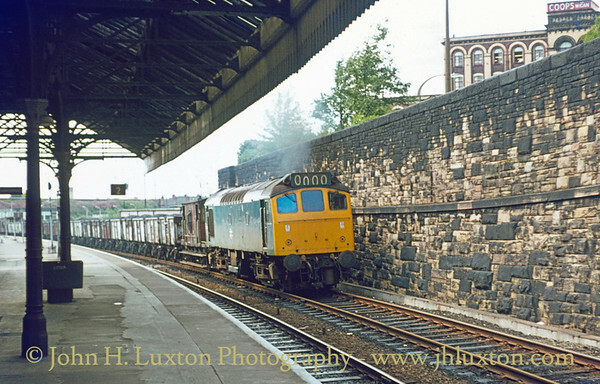 Class 25 with a coal train from the Southport line passes Wigan Wallgate on the through line July 21, 1977. 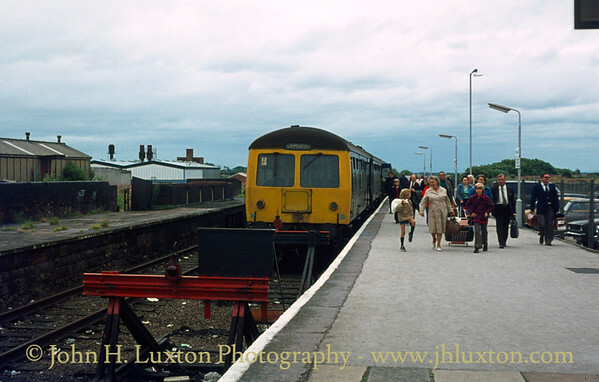 Class 112 Cravens DMU has arrived at Ormskirk Station on a cloudy summer day in 1977. Some passengers who have alighted will be transferring to the Liverpool bound EMU waiting at the same platform behind the photographer. 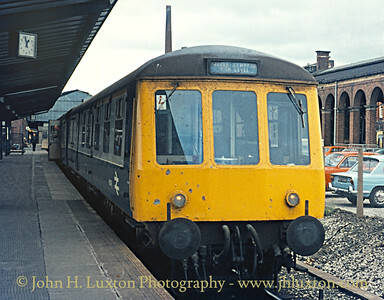 Refurbished Metro Cammell DMU waits in the bay platform at Llandudno Junction Station on July 24, 1977 when operating the Llandudno branch shuttle. 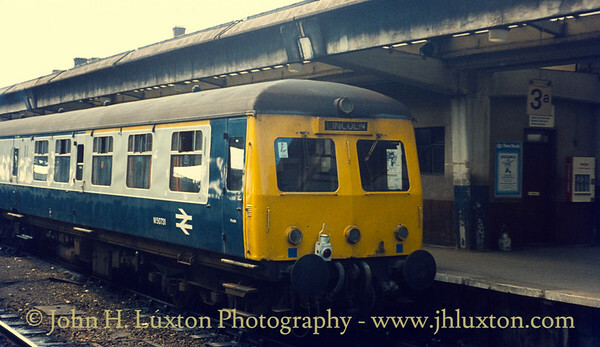 A Metro Cammell DMU waits at Morecambe Promenade Station before departing for Leeds via Carnforth and Skipton on July 21, 1977. 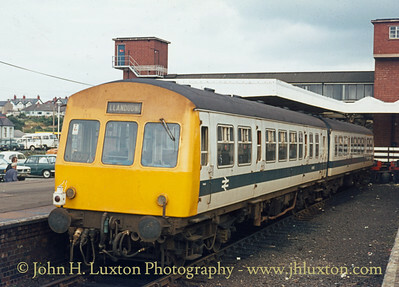 Class 119 Swindon Cross Crountry DMU at Derby Midland Station. It was operating on the Crewe to Lincoln service. Your web master had arrived on it from Crewe on a Midland "Round Robin Ticket" which offered Liverpool - Crew - Derby - St Pancras / Euston to Liverpool for just £6 first class or £5 second. Quite a bargain and an excellent day out! 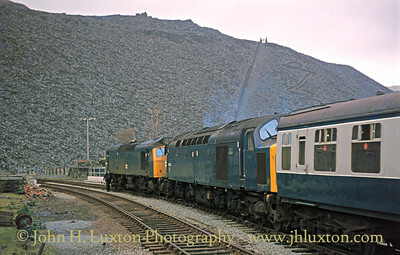 Two class 20s run past Derby Works, viewed from Derby Station on October 03, 1977. 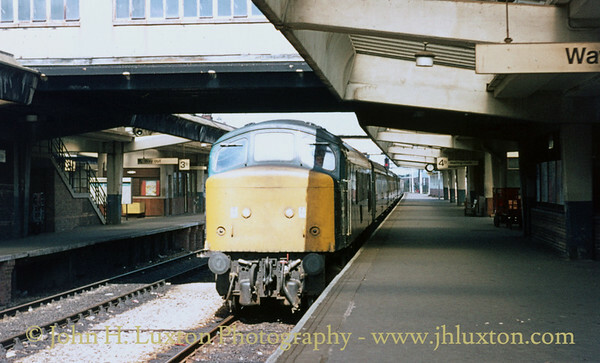 Class 45 arriving at Derby Midland bound for London St Pancras - October 03, 1977. 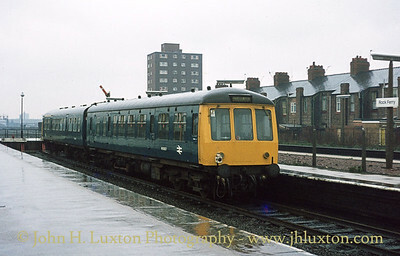 In the 1970s Wrexham line services terminated at Birkenhead North Station. 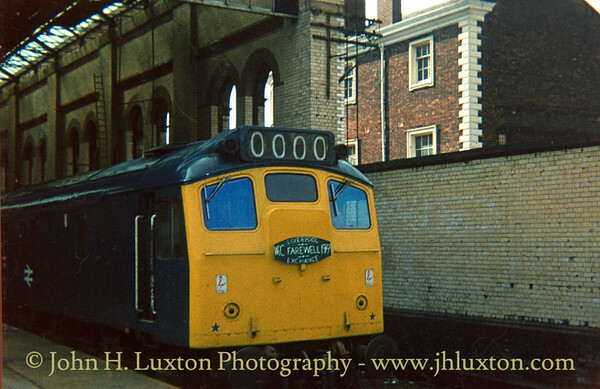 Here a DMU awaits the connecting service from Liverpool before returning to Wrexham on 29 Februaryl 1978. 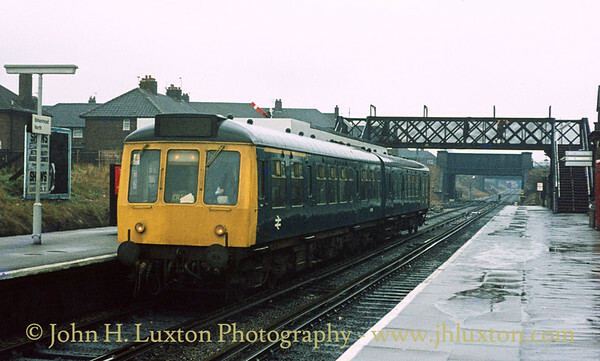 BR Derby built DMU at Rock Ferry which appears to be showing Aberystwyth on its destination blind has arrived from Chester - February 1978. 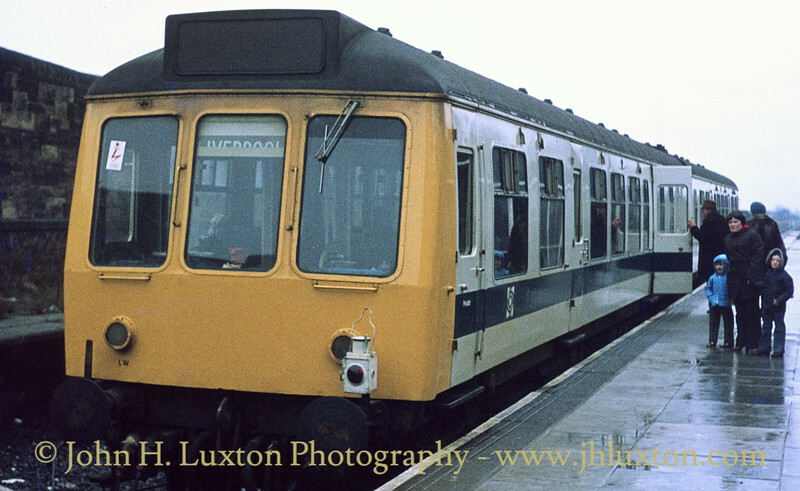 A refurbished DMU at Kirkby Station in February 1978. 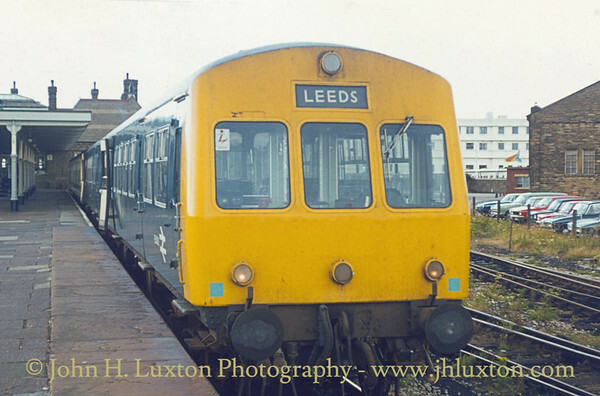 By now the through route from Liverpool had been split by buffer stops, passengers having to change at Kirkby. 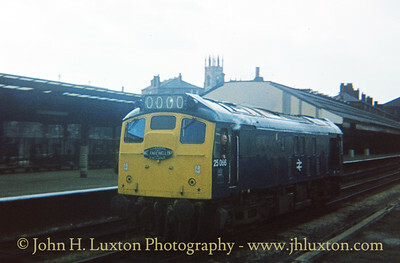 Class 47 47457 at Carlisle Citadel on February 18, 1978. 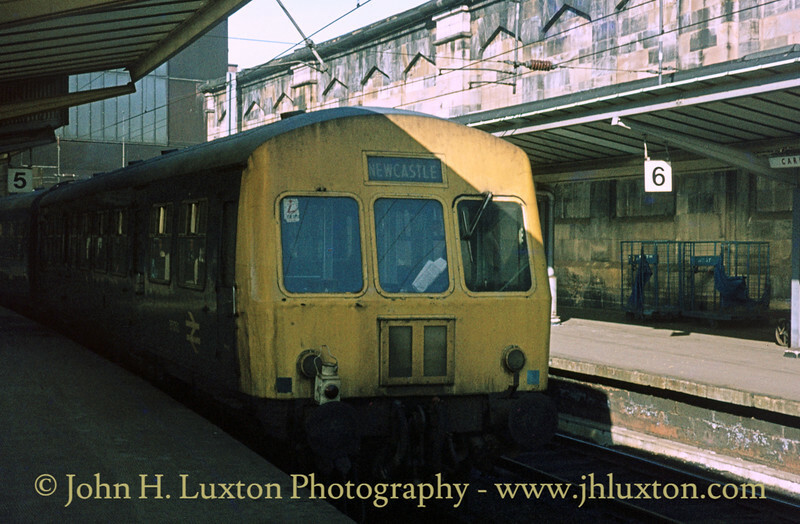 A Metro Cammell DMU awaits departure from Carlisle Citadel for Newcastle on February 18, 1978. Class 40 - 40013 awaits departure from Betws-y-Coed for Blaenau Ffestiniog on a day excursion from Liverpool Lime Street. March 27, 1978. Swindon built cross crountry DMU approaches Betws-y-Coed station from Llandudno Junction. March 27, 1978. 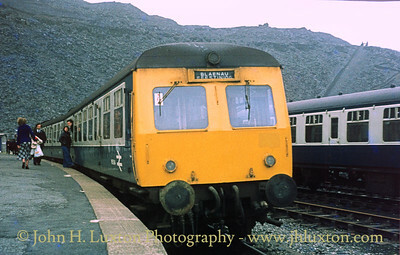 Swindon built Class 120 Cross Country DMU waits at Blaenau Ffestiniog (LNW) station before returning to Llandudno. A special excursion train from Liverpool Lime Street can be seen in the sidings. 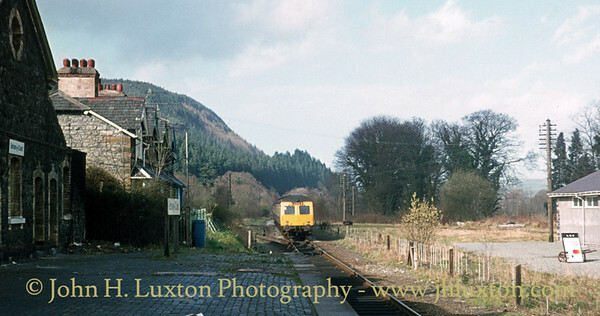 This station closed when the new joint FR / BR joint Blaenau Ffestiniog station opened in 1982. 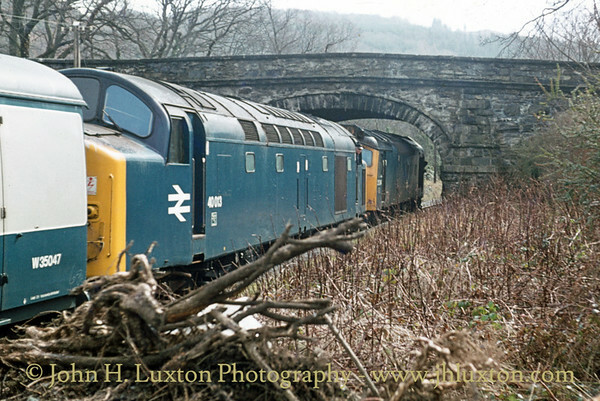 40013 and an unidentified Class 25 at Blaenau Ffestiniog on March 27, 1978 with the stock of a special excursion train from Liverpool Lime Street.